The design of the video container was created back when I started the website in 2008. The internet, and webdesign has changed a lot since then. I really liked the old design, since it did everything I could ever ask it to, and you guys never complained either. Still, design trends have changed so much, that I thought it was time to modernize the looks of the videos, give it a sleek, modern, minimalist feel, which is trending in design nowadays. 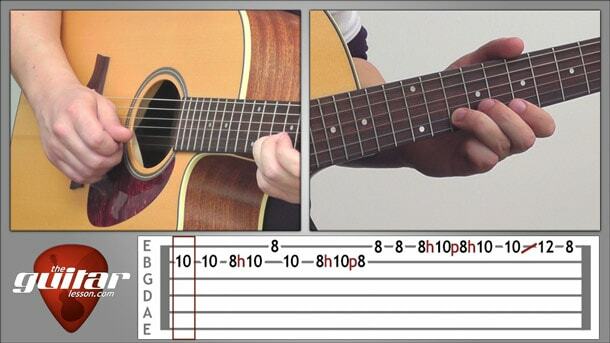 Beside making the live windows a bit bigger and changing the colors, I totally reworked the tablature section, which is one of the most important parts of my lessons. The first video with the new design is the lesson on Satisfaction. I would love to hear your feedback, especially concerning the tablature part of the design. I think this version is easier to understand (beside looking better), but of course, the voice of my students will make the final call. The higher resolution will result in a clearer, sharper picture, making the lessons a bit more enjoyable. Most of you won't notice any change, it's only apparent when you compare the before-after screens. If you experience any lag while streaming the videos, let me know. I've been getting an A-B looper developed, which will add a section looper function to the video player. You'll be able set a beginning and an end point within the timeline of the video, and that section will loop. 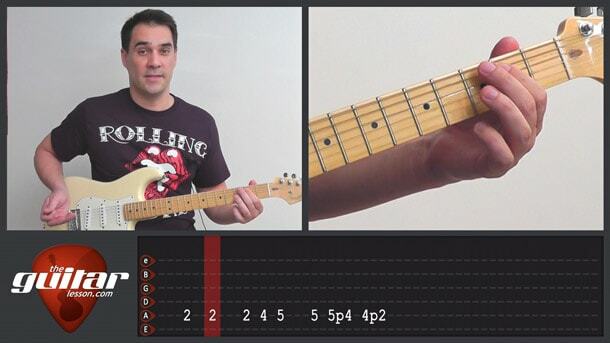 This feature will be useful for practicing play alongs, riffs, and things like that. Blues 101 course: I've been meaning to create a beginners guide to the blues for some time now, but now I'm finally getting around to it. It'll be a very simple, but very effective set of lessons on blues guitar, with a few interesting extras you won't find anywhere else. I'll let you know when it's ready. So that's everything I wanted to share today, and please let me know how you like the new design of the video. Please, I want/need to be able to use it on my Kindle fire HD.